Ireland is a wonderful place to visit year round. However, some months of the year have advantages that others don’t (like smaller crowds or longer daylight hours). Here’s a quick rundown of every month in Ireland. There are also far fewer visitors this time of year than any other, which means you will definitely get some amazing spots all to yourself. Hooray! You should also know that not everything will be open, but you won’t be bored. There will still be plenty to keep you occupied. Just be sure to do a little research to insure a place is open (and for how long) before driving out of your way to a destination. We went to Ireland over Thanksgiving one year and it was one our most favorite times to go. March is the month of St. Patrick’s Day. 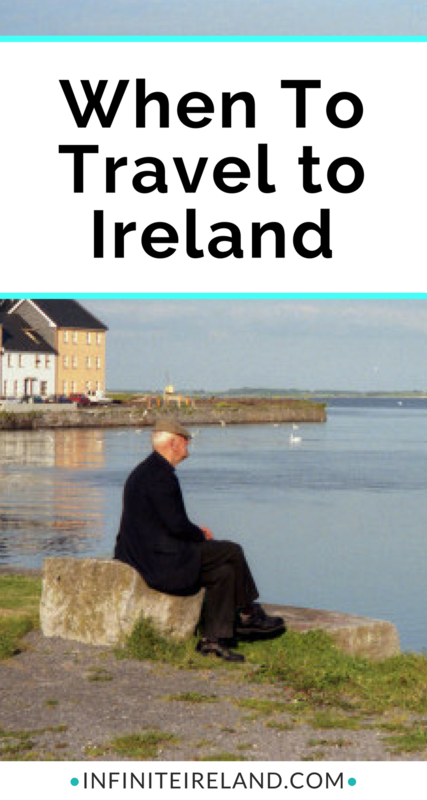 Many people love to travel to Ireland during this blessed (and fun!) holiday. Towns will be full of life with colorful parades and other events, but lines may be long, restaurants and pubs may be full, and hotels (especially in Dublin) will be more expensive. My advice? 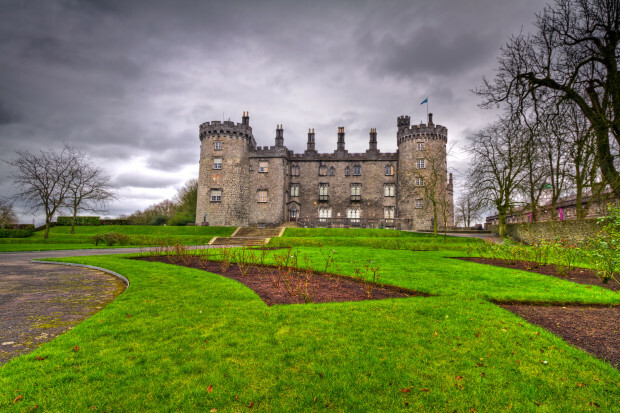 Go to a smaller town on St. Patrick’s day and participate in a traditional country holiday (rather than a parade in Dublin with thousands of other visitors). You can find great deals on flights, cars and accommodations during the shoulder season. Attractions are open and there will not be as much traffic on the roads or at the sites. 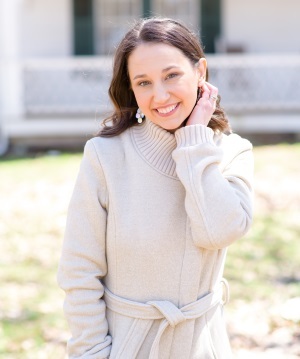 Daylight hours will be long in the spring and not too short in early fall, so you can enjoy museums, historical and other sites without hurry. 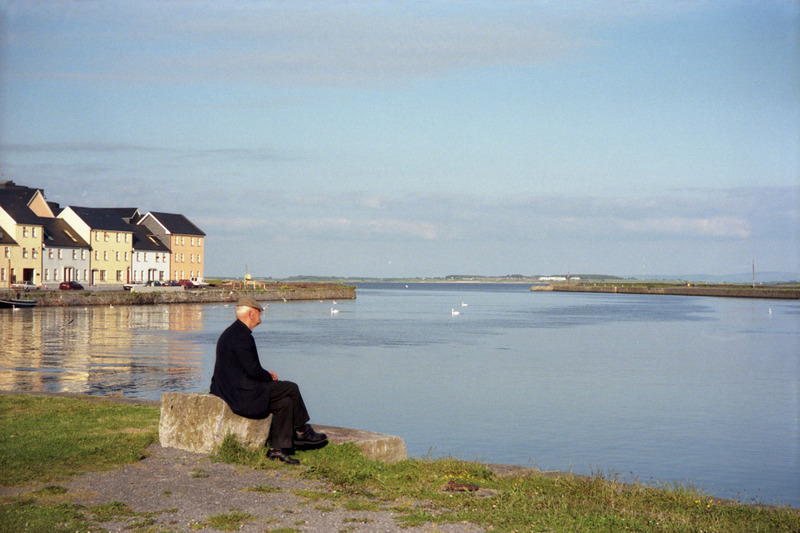 If you want my best recommendation on when to go to Ireland–it’s these months. These are the peak travel months. The crowds will be heavier and the best accommodations will fill up fast, but with careful planning, you can avoid the masses. Don’t worry if this is your only time to go. You will still have an amazing time. Plan for the iconic sites (like Cliffs of Moher or Rock of Cashel) for later in the day. You’ll miss most of the tour buses and get to explore sites that other visitors skip. Irish weather is unpredictable all year-long. On any given day, be it December or July, you might experience four seasons of weather. This is all a part of Ireland’s charm (I promise it is). Be prepared for it by dressing in layers. Don’t try to predict the weather or the best days/months to travel, because it useless. Instead, go expecting at least a little (or a lot) of rain everyday. When the sun shines (it will eventually), it will be the most spectacular thing you’ve ever seen. Those hills will sing! If you have any time of the year to plan your trip, go during the shoulder months during spring and fall. 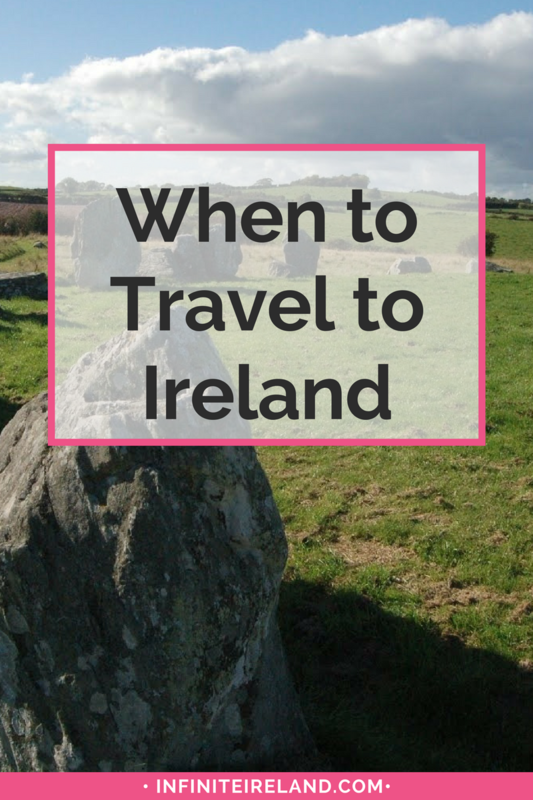 Enter your details to below to get my Ultimate Ireland Packing List and dozens of other helpful tips for planning your trip to Ireland. This packing list is so good, I actually use it for any trip that I have to pack for more than a night or two. I promise, you’ll find yourself saying “ahh, I didn’t think of that” at least a few times! I am so excited for you to get to finally see Ireland! !